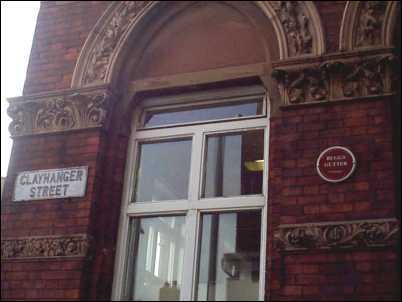 Queen Street is named after the pottery ware Wedgwood made for Queen Charlotte in 1765. The striking edifice of the Wedgwood Institute was erected by R. Edgar and John Lockwood Kipling (father of Rudyard Kipling) and took six years to complete. 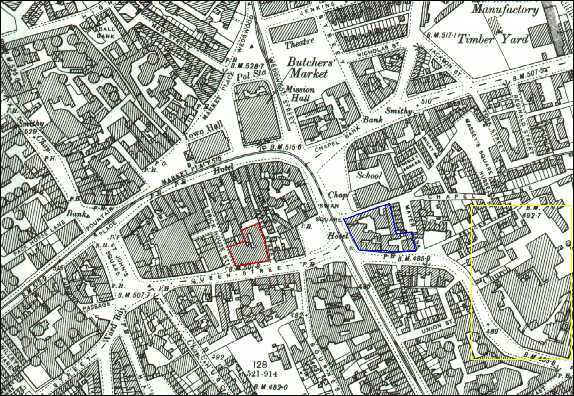 The Institute stands on the site of the Brick House pottery works which was rented by Josiah Wedgwood from 1762 to 1770 - this was the second of his potworks in Burslem (the first being the Ivy House works). The foundation stone was laid by future Prime Minister - William Gladstone on 26 October 1863. 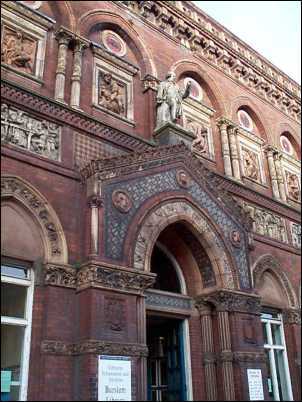 The frontage of the Institute contains twelve huge terracotta tiles depicting the months of the year. Also displayed are the carvings of the people of the Potteries performing their different skills, together with a statue of Josiah Wedgwood. The Institute was built with funds raised by public subscription to make arts, science and literature available to all, not just the rich who had previously had the only access. It was also designed to be the main centre for arts activity in the Six Towns of the Potteries. The Institute was highly successful and extended into two new wings before the demand for art education necessitated the building of a new purpose built School of Art on the opposite side of Queen Street. 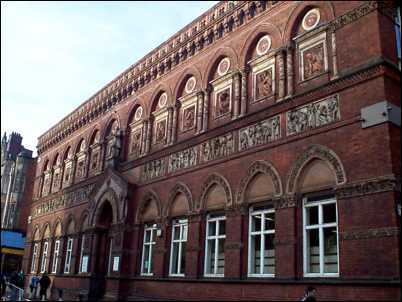 During the late nineteenth century the Institute played its part in producing ceramic artist, William Moorcroft; author, Arnold Bennett; and pioneer of radio, Oliver Lodge. The Institute also features regularly in the works of Arnold Bennett. Statue of Josiah Wedgwood over the entrance to the Wedgwood Institute. 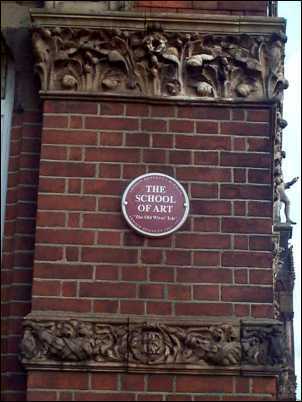 The side of the Wedgwood Institute is in 'Clayhanger Street' (after Arnold Bennett's novel of the same name). 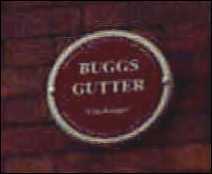 In Bennett's novels the small passageway was called 'Buggs Gutter.